Hereford FC visit St Ives Town on Saturday in their final Evo-Stik Southern League Premier Division match of the season. 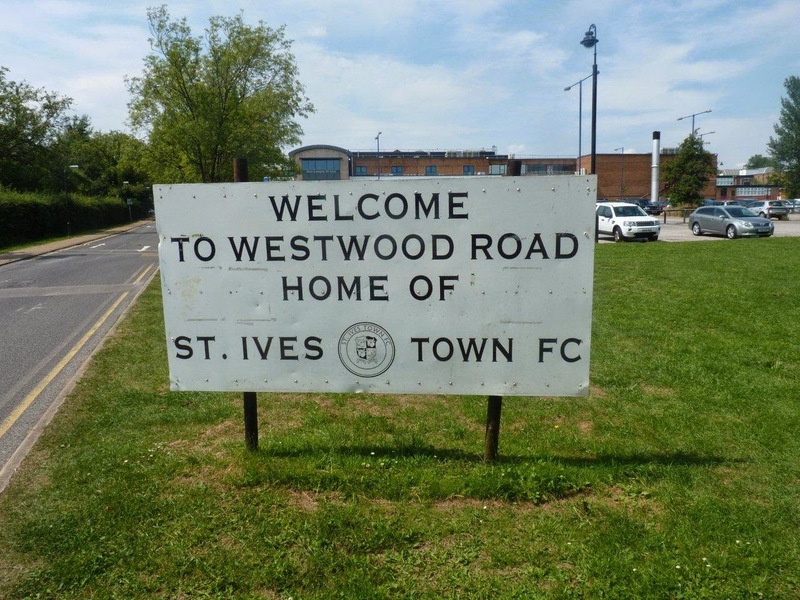 The Bulls have won the league by a country mile, and look set for an end-of-season flourish at Westwood Road. Talking Bull contributor Simon Wright has written the following article for the St Ives match-day programme on Saturday, but for those of you unable to attend, here are his thoughts ahead of the game. For some of the Hereford FC Championship-winning squad, today is a last hurrah. Painfully, our very own Rob Purdie has decided to retire, head turned by the uniform and the long hoses of the fire brigade. Fire fighter Rob is reeling under the weight of deserved tributes this week. Over 450 games and 60 goals scored over 3 spells has made him an adopted Herefordian. Purdie is a passionate, articulate advocate for the Bulls and our last Herefordshire resident player. There were tears aplenty last week during his final home League appearance and that was just from our manager. We’d consider retiring his shirt if he hadn’t played in 15 different ones. Beyond the certainty of Rob’s departure, one or two players may volunteer to leave because of suffering bench splinters. Competition for places is ferocious. Miss a game through injury, suspension or work commitments and a return to the first X1 is not guaranteed. All Hereford players spend many long hours travelling and for them not to regularly start must be vexing. Imagine travelling midweek to Gosport, Tiverton, Biggleswade or Hitchin as we’ve done and not even get one minute of action. Time off work, getting home at 2.00am or later with work just hours away. Tough, so very tough. Ah yes, travelling. Nearly all Hereford’s squad are based either East or South of Herefordshire. With no certainty yet whether the Bulls will play in National League North or South, this lack of certainty doesn’t help our cause. Were we to end up in the North, understandably some of our finest, faced with several thousand miles additional travelling, will reluctantly seek another club closer to home. Tough call. There is only one Hereford. Yet for our South Wales contingent, 15,000 miles travelling a season for a second job/ hobby is hard to justify to themselves, never mind rolling pin wielding partners. Finally, our manager will believe that not all the Championship squad can make it in the promised land of Step 2. Tough decisions to make. A few, he will feel, will not deal with another new challenge of even quicker opponents and even better-built defensive barriers. Thus, today is goodbye for some within our squad. No doubt a traditional end of season players “social” will follow today’s 90 minutes, a final opportunity to swap banter, wind up team mates and indulge in men hugs. Although not public knowledge yet, in most cases the squad will know who’s leaving, (albeit complicated by choice of Leagues). The sensible majority of our supporters will appreciate that every squad member has made a positive contribution to our club. There are no mercenaries or good 3 games in every 5 matches footballers at Edgar Street. Good luck to all the departing players in your future careers. We all hope you’ll never forget your time with the sexiest Non-League side in the West Midlands.